Journalist disguises himself as sheikh and enters world Islamic strongholds. How much does religion affect field coverage? Tomorrow at 21:00, a new series will be broadcast by News 10's Arab Desk head Tzvi Yehezkeli. Entitled False Identity, the series is presented by Yehezkeli, who impersonated a Muslim Brotherhood sympathizer seeking to contribute to and join the organization. Yehezkeli received close consultation from intelligence companies, as well as the Shin Bet internal security agency, and the Mossad. To perfect his identity, he obtained a genuine Syrian passport, a Palestinian Authority passport for backup, and an Internet signature of an active business in Jordan with a website and verification address. 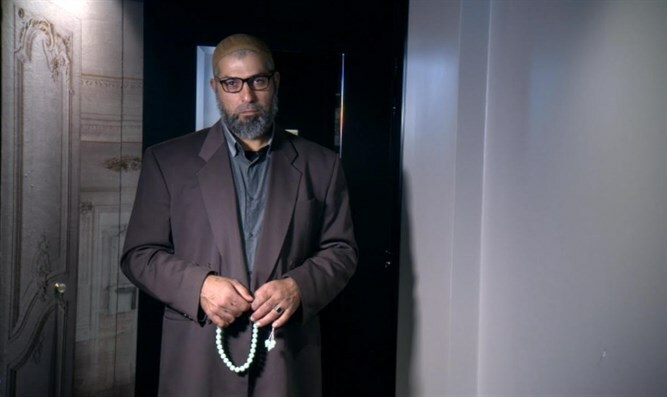 Under the name "Sheikh Abu Hamza", Yehezkeli went equipped with quality photographic equipment disguised in a garment button and camera glasses deep into the state of affairs that he calls the "silent jihad". Yehezkeli, who has become Torah-observant in recent years, sees added value in the fact that he surveyed the field and encountered Islam as a religious person. "Once a person serves the Creator he becomes more sensitive to forgeries. On the one hand, it helps me know the material and identify with believers, although I disagree with their way. The fact that I'm religious allows me to open my eyes even more, I can't be swayed by this aspect." Yehezkeli also adds that part of his rapprochement with the religious world may have been due to his preoccupation with his coverage: "They opened a door for me to enter in a more real side." "But Islam needs a deep understanding of itself," says Yehezkeli, and hopes that there will be a reform in Islam as is happening in Saudi Arabia. In a conversation with Arutz Sheva, Yehezkeli explains that the world already understands ISIS terror and stands up to it, but is now facing a new and quiet jihad, which according to Islam is the last Jihad, the Apocalyptic Jihad where Islam takes over the West not by war, but by quietly penetrating Western societies. Yehezkeli notes that a ruling of the 1990s by a senior Muslim jurist states: "The occupation of the West will be done without war but quietly, with infiltration and subversion." The five-episode series Apocalyptic Jihad, Silent Jihad surveys Turkey, Germany, France, and the United States.